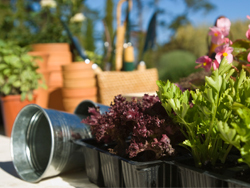 From Sara Holtz - BPS Marketing Inc.
Bring renewed life to your home at the 16th annual Dayton Home & Garden Show as gardeners, landscapers, decorators and do-it- yourselfers find realistic solutions to get homes and gardens in tip top shape for the season ahead. The event takes place Friday, March 23 through Sunday, March 25 at the Dayton Convention Center, 22 E. Fifth St. The theme of the 2012 Dayton Home & Garden Show is “Let Us Entertain You!” reflecting plans to engage, excite and educate the entire family with over 250 local and national exhibitors and dozens of experts set to share innovative ideas for home and garden maintenance and enhancement.